In September I was at my friend LC’s for Sarah’s bridal shower. I was lucky enough to be there when she opened the box of chocolates she received as a thank you gift. 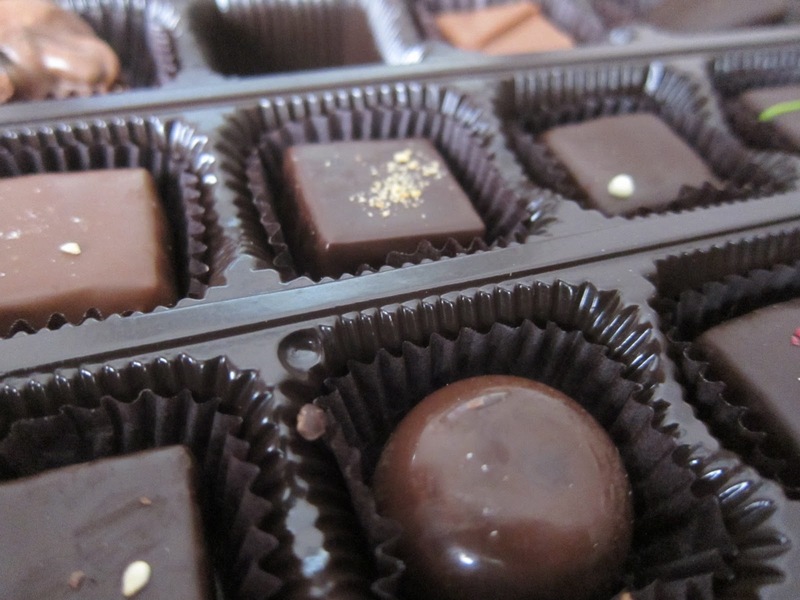 I proceeded to taste a few from Zoe’s Chocolates of Waynesboro, PA and Frederick, MD. There is really nothing I have against any chocolate. Sweet and creamy, salted, filled….I’ll pretty much eat them all. Too dark and I’m not as excited, but I’ll eat it. But Zoe’s were really very very good. I honestly think I could have devoured the entire box. 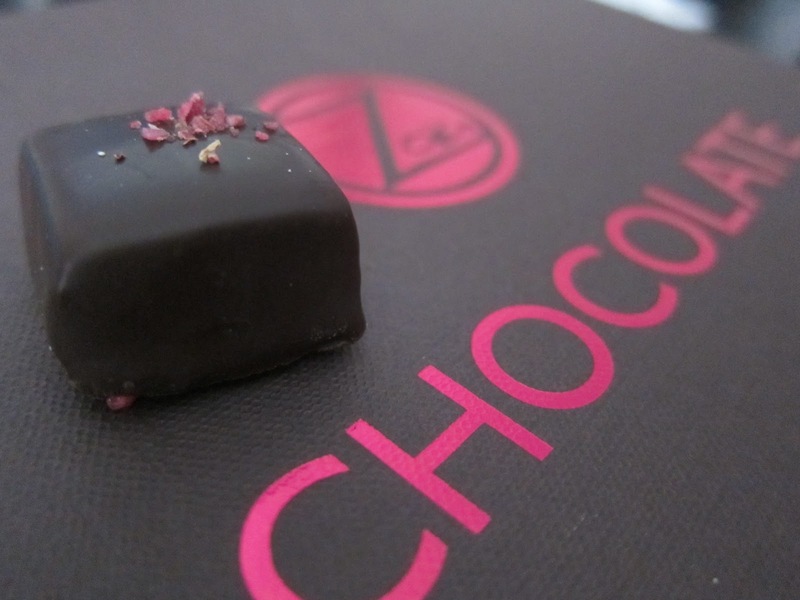 Zoe comes from a long line of Greek chocolatiers, and the business is still family run. Sarah has a special connection to Waynesboro as this is where her husband-to-be hails from. You can find them in Whole Foods in MD and select stores in other states. As a side note, I like how Whole Foods will feature local brands. Not that I’ve ever bought a Mast Brothers chocolate bar from Brooklyn (where they literally sailed the cocoa beans from South America on a sail boat, I’m not kidding). She makes lots of yummy flavors like pomegranate, honeycomb and orange flower. Thank you, Sarah! I will see you soon for the big day!